We welcome your support for the Hope for Children programs. 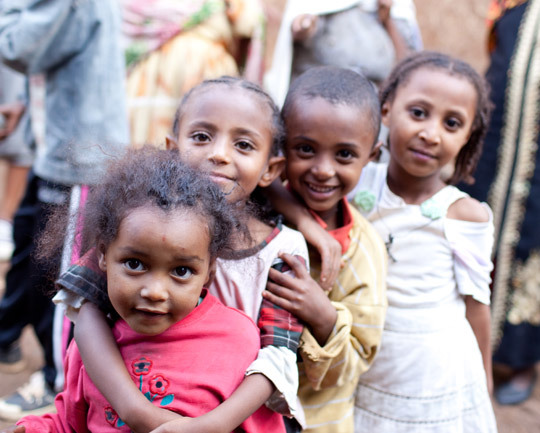 Thanks to you, we can help more children, young people and their families in Ethiopia. Thank you for your generosity. 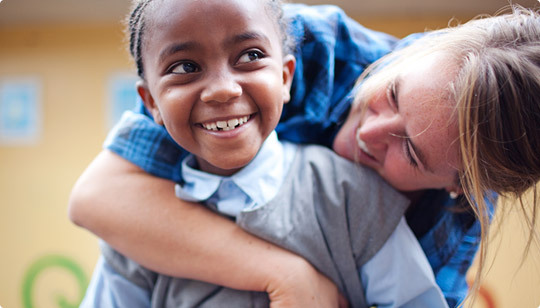 For $450 a year, your support to Hope for Children’s Child Sponsorship Program will provide access to student scholarships and income generating expertise for care givers in order to promote greater long-term sustainability and self-sufficiency. You can also sponsor a child to attend our primary school, The School of St Yared for $1,500 per year. about our Child Sponsorship programs. From supporting our school feeding program to professional development for our teaching team, there are many meaningful ways you can choose to support our work. to one of our priority programs in Ethiopia. If you think your company would be interested in supporting Hope for Children Australia through a workplace giving program or corporate partnership, please email us at info@hopeforchildren.org.au. Hope for Children welcomes in-kind donations and we are often looking for skilled individuals to volunteer with us, both in Australia and Ethiopia. Unfortunately, due to limited resources, we are currently unable to offer structured work-experience or ‘gap-year’ placements in Ethiopia. Build a Hope for Children Support Group: Set up a group with your work, school or uni friends to learn about and support Hope for Children’s programs. Have a Breakfast: Invite your family and friends to a home-cooked breakfast (or ask your local café! ), and introduce Hope for Children’s community programs. Invite a Hope for Children staff member to come and talk at your school/university/other event. Hope for Children staff in both Perth and Ethiopia often speak at public events about community development in Africa. Hope for Children hosts a number of fundraising events throughout the year to promote awareness about our core strategies and programs, and raise money for community development initiatives. As one of the official charity partners for the Santos Great Bike Ride, Hope for Children engaged people to ride for Ethiopia or volunteer their time in November 2014. All money raised went directly to Hope for Children’s education programs in Ethiopia. In July 2013, Hon Julie Bishop spoke at an Hope for Children fundraiser at Steve’s Fine Wine & Food in Nedlands, Perth WA. Ms Bishop spoke about the devastating impact of modern day slavery on the world. More than $30, 000 was raised in support of Hope for Children’s Anti – Human Trafficking initiative. Renowned Australian wine maker Mike Peterkin donated boxes of his Pierro wine, raising more than $60,000 for health programs in Ethiopia. Fundraising pro Jo Rees has hosted five breakfasts at North Cottesloe’s famous Blue Duck Cafe, raising awareness about Hope for Children’s adolescent sexual health program, Integrated Community Health. Why don't you try one with your friends? The School of St Yared’s has a nationwide network of dedicated supporters. In 2014, one passionate supporter will run 42 km under St Yared’s motto “fighting poverty through education” at Western Australia’s City 2 Surf competition. Perth private girls‘ school, Santa Maria College hosts G4G – Girls 4 Girls education – which promotes girls’ education and raises funds for the school. Santa Maria’s Book Week also raises funds for the school. The staff vs student “quidditch match” is a school-favourite and all money raised goes to St Yareds. Stay up-to-date with the latest Hope for Children news and events by signing up to our quarterly e-newsletter here. © 2019 Hope for Children Organisation Australia Ltd.
To stay up to date with Hope for Children's latest activities in Ethiopia, including program news and opportunities to participate in Australia, please enter your email address.